Books and Wizards and Donuts. Oh MY! 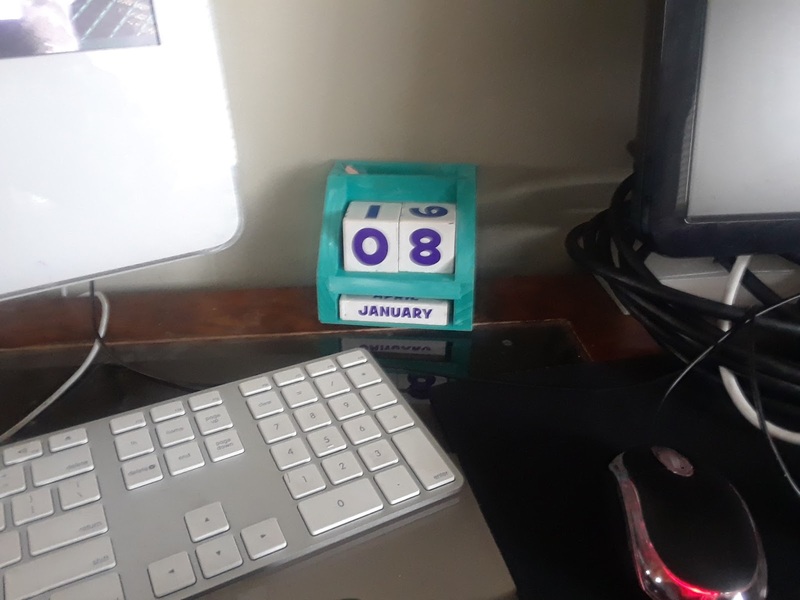 The past two weeks have just flown by! It all started with Dave picking up that book I REALLY wanted to read at the Downtown library on his lunch break (I am 44th in line at our library, so it was really kind of him to go check it out for me). It was fabulous! 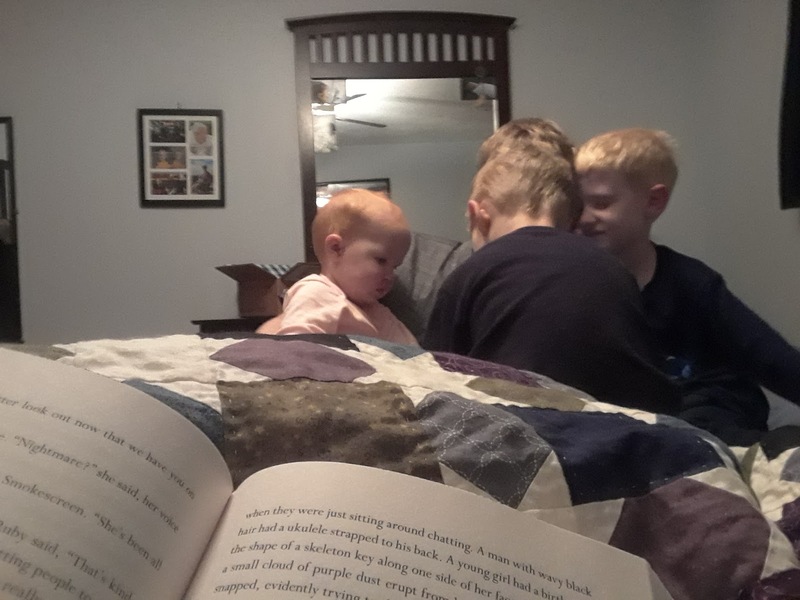 The boys were supportive of letting me get in a little extra reading time and I got it done in a week. Although we didn't have that problem with getting Dustin to try it on. 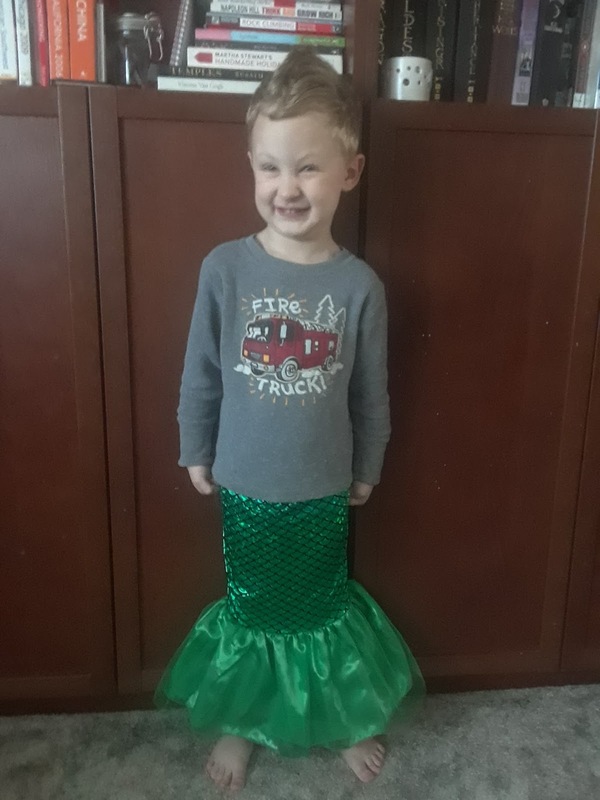 He posed just fine after he made sure "there are mermen too, right?" Speaking of Dustin... He's been such a ham lately! 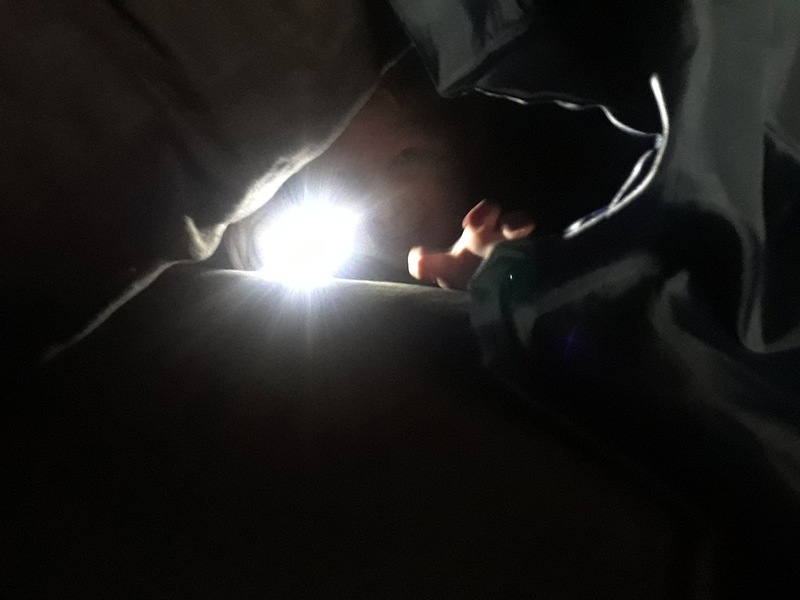 He has built a fort a day and we spend hours reading in them, or in this picture's case he was telling me spooky stories. 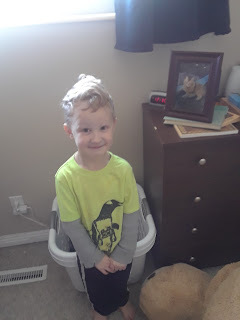 About two Sundays ago Logan came down with a 24 hour stomach flu. Dustin got it too. 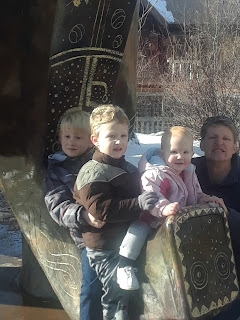 It was no fun at all, but reflecting back I realized none of our kids have ever thrown up in their lives (if you don't count baby spit-up). So I guess we're doing pretty good on that front. Brooklyn is getting so big! 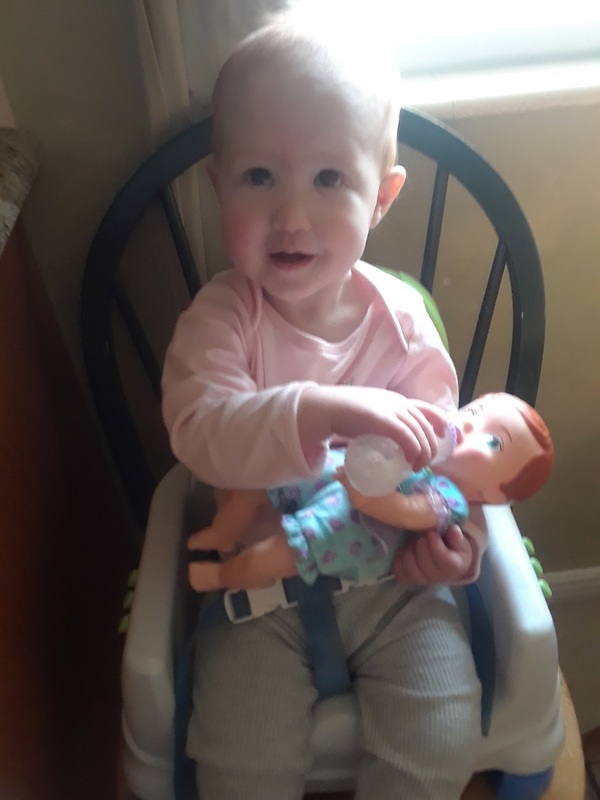 She can follow directions well if she wants to, and loves to pretend she's a big girl. She feeds her baby while we wait for dinner to be ready. 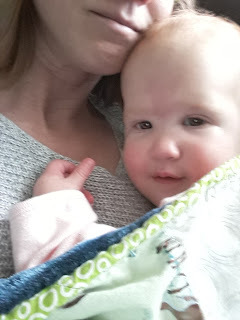 Also fighting the evil nap, she and Dustin were snuggling under her doll's blanket. I don't remember when... but some time in the past two weeks we got a special package from Great Grandma Yoder!!! It was a picture of Grandma's neighbor's cat Chester!!!! The boys just love this cat and he just loves them. Dustin's reaction was "Oh mom! I love this cat! 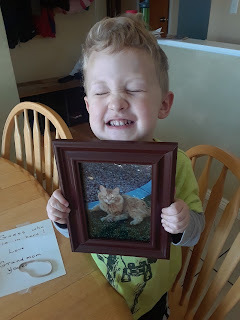 He misses us so much that he made Grandma mail us a picture! She promised she would send a picture and I bet he reminded her." 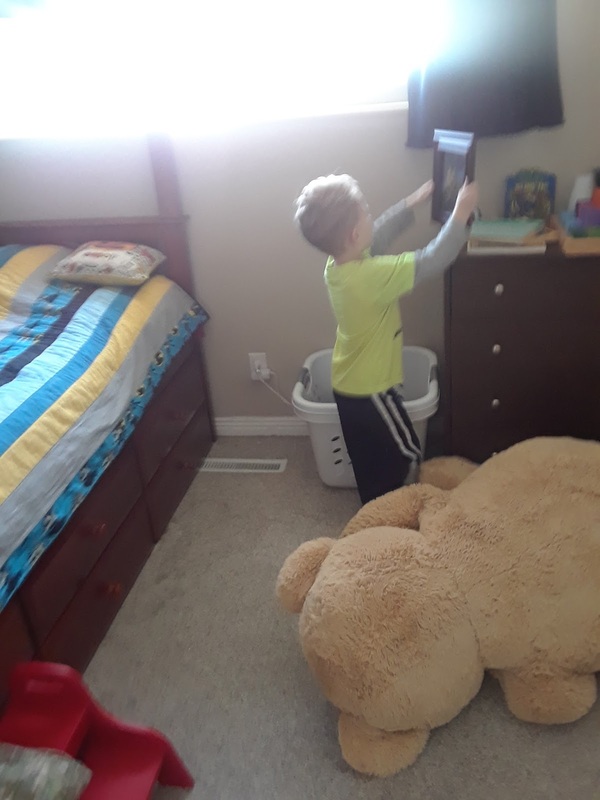 He decided the picture needed to be on his dresser so he put it there proudly! Then Logan got home from school and they fought about where the picture should go (Logan thought it should be in the living room where everyone could enjoy it). They decided on a compromise that it could move every five minutes to each boy's prefered spot. They continually moved it all day long. The picture still moves. It is currently in the living room but makes appearances in every room (even the bathroom). We are so grateful for our cat picture!!! Brooklyn discovered it's fun to paint! 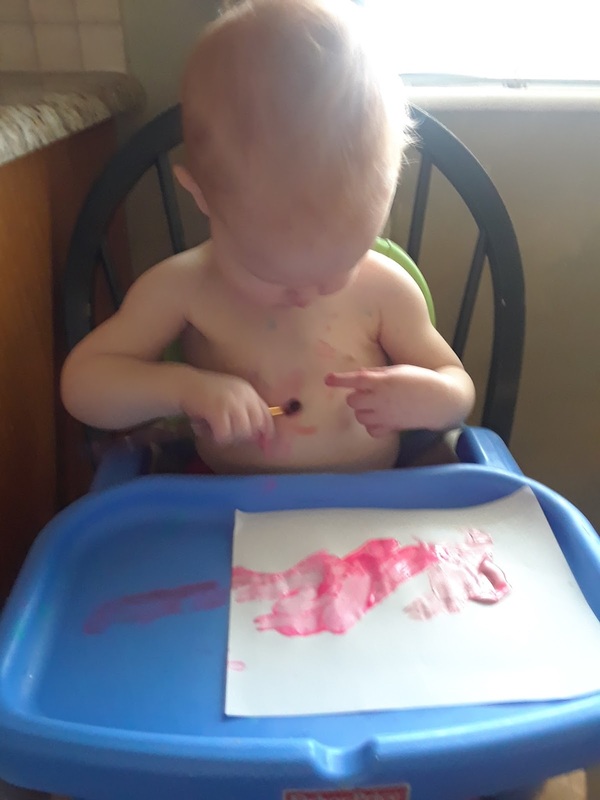 But she likes painting her body more than the paper. Although the paper is sure fun to paint too. We have done a few science experiments over the past two weeks. 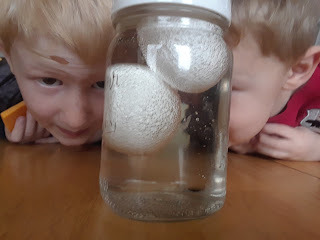 The coolest involved soaking two eggs in vinegar for two days. We learned that vinegar dissolves the calcium in an egg's shell and makes a naked egg!!! Which you can bounce on the table, but don't bounce it too hard, or they will break and you get just a raw egg. Which doesn't taste good if you cook it. It's way too vinegary. Logan has been reading like a mad man!!! I bought him Dogman for Christmas and he has probably red it 10 times. So I ordered the second and third book off ThriftBooks and he has really loved them. I think I'll get him the 4th one right before school ends to encourage summer reading. 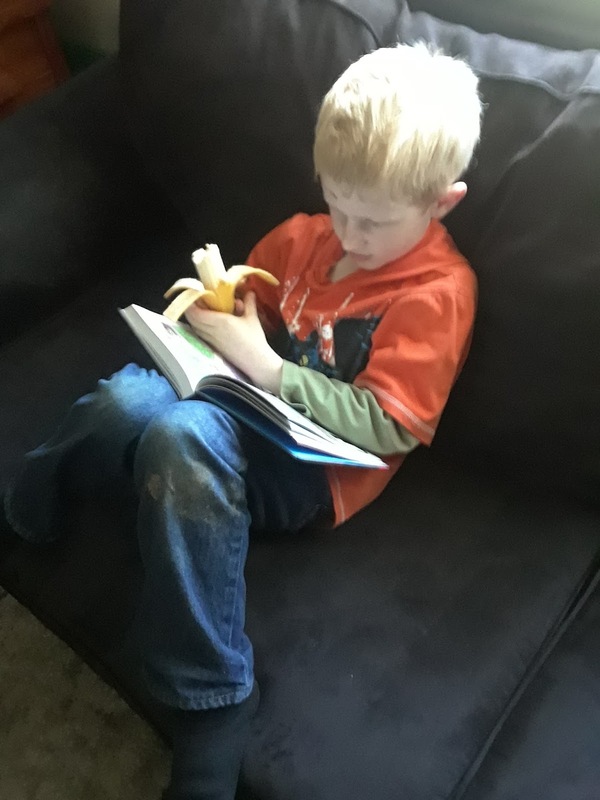 He can read one of the books in an afternoon and they're a few hundred pages long. Speaking of that cheap Chinese website... 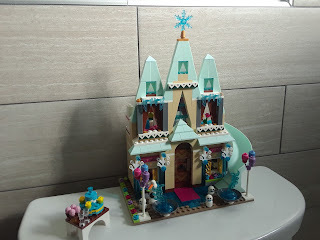 I also picked up this knockoff Lego set for future Brooklyn. It was $10 including shipping! 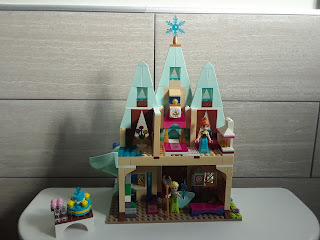 Dave was really skeptical the bricks wouldn't be compatible with Legos or that there would be pieces missing so he insisted we put this together and "make sure". The pieces are a little less sturdy than Lego, but are still indestructible and compatible with Legos. And there were extra parts. Dave was so surprised that he decided the wanted a Lego Technic knockoff for his birthday. So we'll be buying these again in the future (probably some for the boys too). We decided last weekend to make it a fun one. 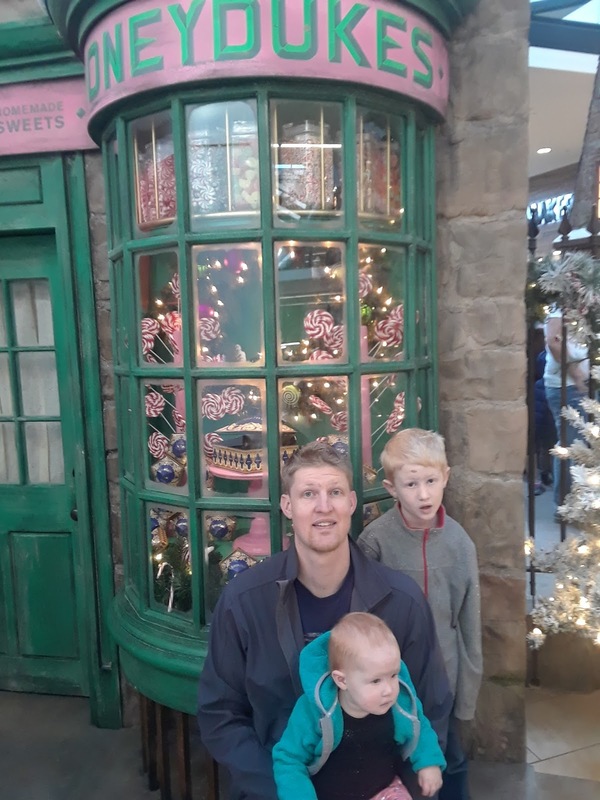 We hit up the Hogsmead village at the South Town Mall in Sandy. It was really cool to see, although I'm so glad we didn't go during the Christmas rush. I've been told people waited 2 hours just to get in and look around. The place was neat, but tiny! So I can't imagine waiting that long. I must not be a diehard Harry Potter fan. 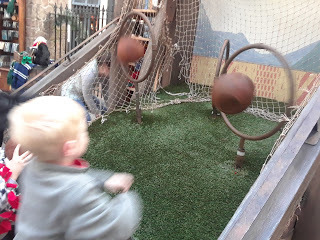 The boys got to play a Quiddich game where you try to throw the balls (quaffles) through the ring. 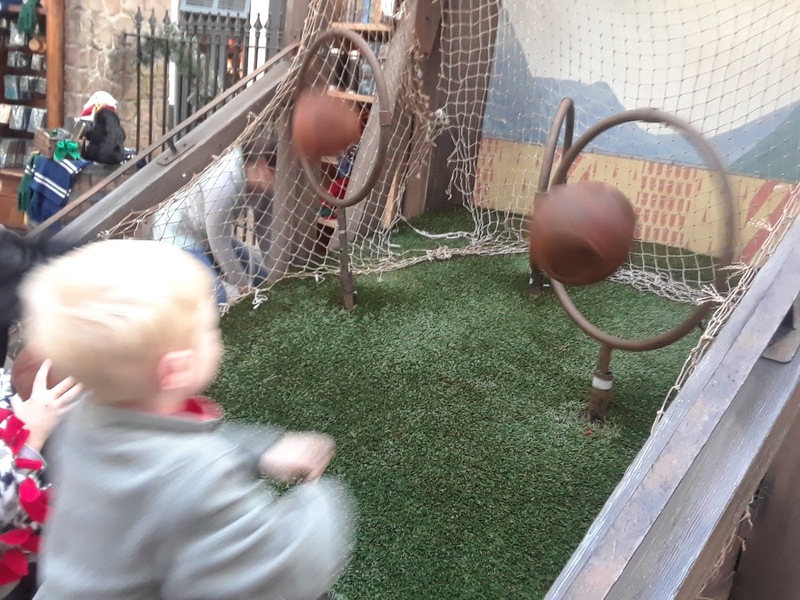 They had so much fun with this we had to play twice! W browsed around and looked at everything!!! 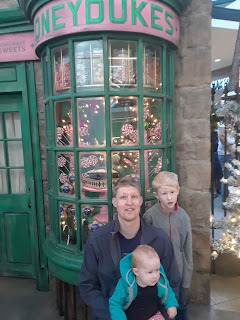 They had over priced books, robes, scarves, games, puzzles, wands, and the biggest temptation CANDY! We decided it would be better not to buy the $20 jelly beans and make a treat at home. The highlight of the trip was the wand shop. 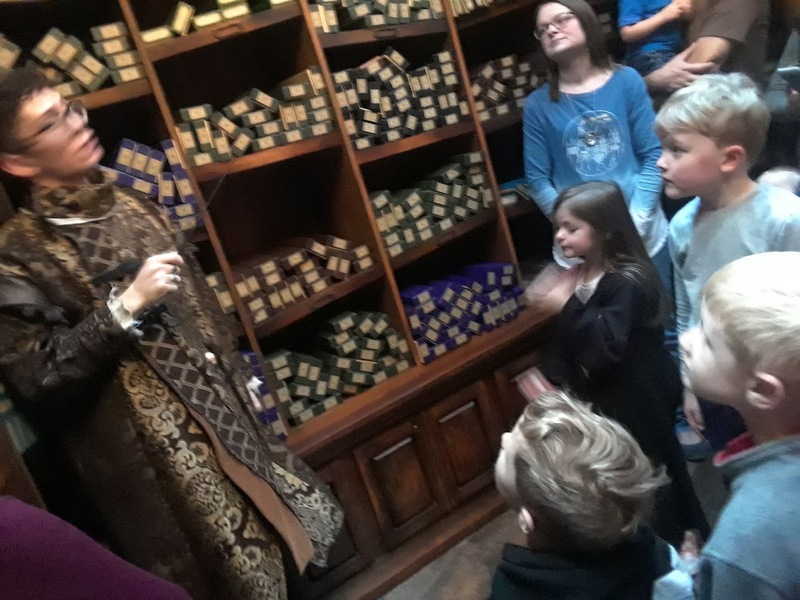 The wand master did a demonstration with a grand finale of making it snow inside the shop!!! The boys were fascinated and discussed if magic was real for the remainder of the night. We decided to make donuts for our homemade treat. It took FOREVER to make them, but they were totally worth it. The dough ended up really sticky so I had to add extra flour which deflated them quite a bit. We ended up with half as many donuts as we should have gotten (I blame elevation) so they were gone in 24 hours. We shared with 3 of our widowed neighbors, and they loved all the chocolate frosting and sprinkles the boys put on top. We will definitely make these bad boys again! 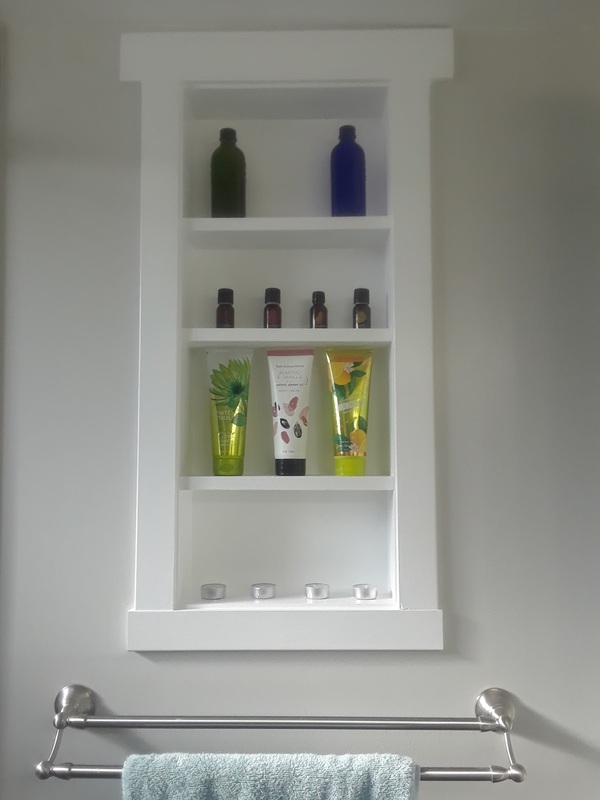 Dave finished up our built in shelf in the bathroom! 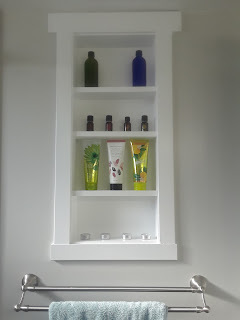 It turned out so great I want one in the upstairs bathroom now. I'll have to find things to fill it with, but for now these bottles will work. Brooklyn always finds new ways to get into trouble. She has figured out how to climb up on the kitchen table. So now nothing is safe! 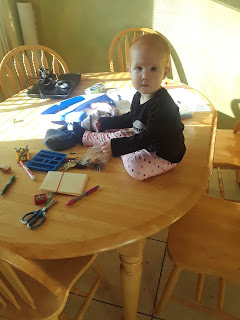 She's only fallen off once so far, but I can't figure out a way to keep her off the table. 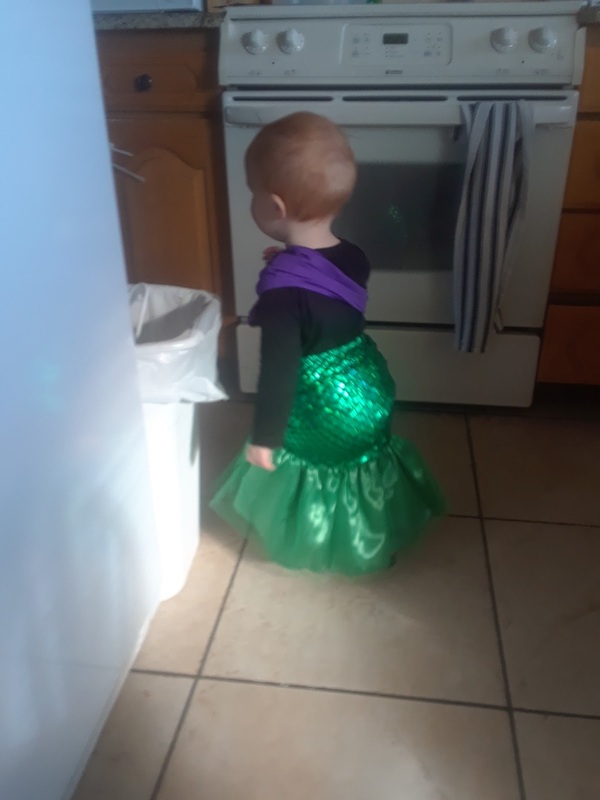 Hopefully she will at least learn to be more careful. Dustin has really bloomed as a artist lately. He will draw pages of pictures at a time and has added features like hair and belly buttons. 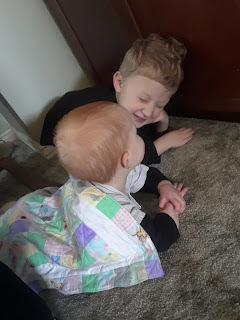 Brooklyn and Dustin are becoming better friends. Dustin has been sneaking out to the back yard to jump on the trampoline or skate on the ice. Lately after playing for a while he will come inside and request his sister join him. Sometimes I worry that the boys will spoil their little sister, because "she's so cute mom." but they fight enough that it probably won't happen. 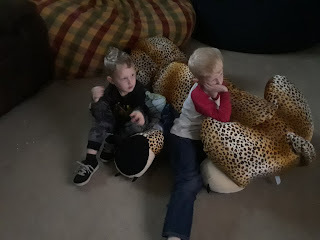 One of Logan's Christmas gifts was a super over sized cheetah. So we are now the proud owners of 3 oversized animals. This one lives in the basement. 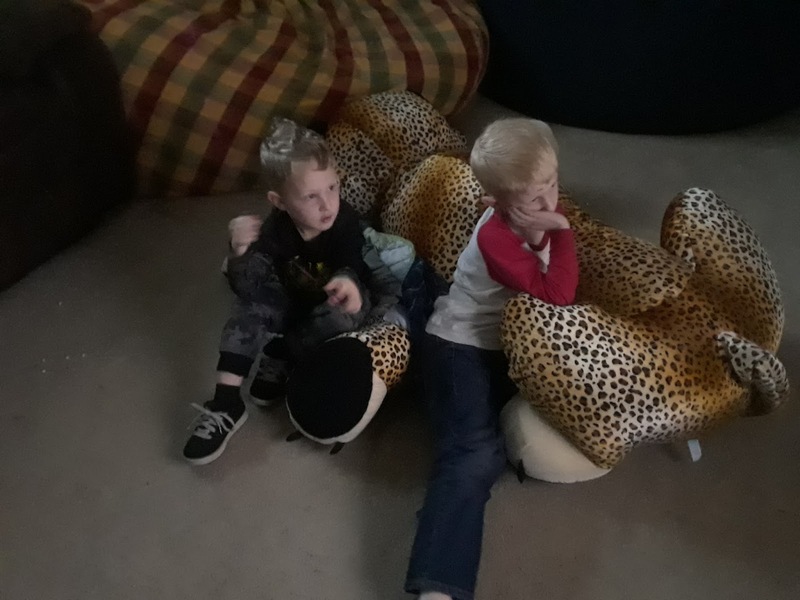 The boys love snuggling with it while they watch a show. For Family Home Evening on Monday we discussed goal setting and made some New Years goals. I broke them down into educational, health, and spiritual goals. We set some for our family (like swimming once a month and reading the scriptures every day), and each of us set individual goals. Logan has been dedicated to his goal to exercise every day. After dinner he asks if it's time to get on the treadmill. The rest of the week felt mostly like catch up. We did a lot of cleaning, laundry, cooking and reading. 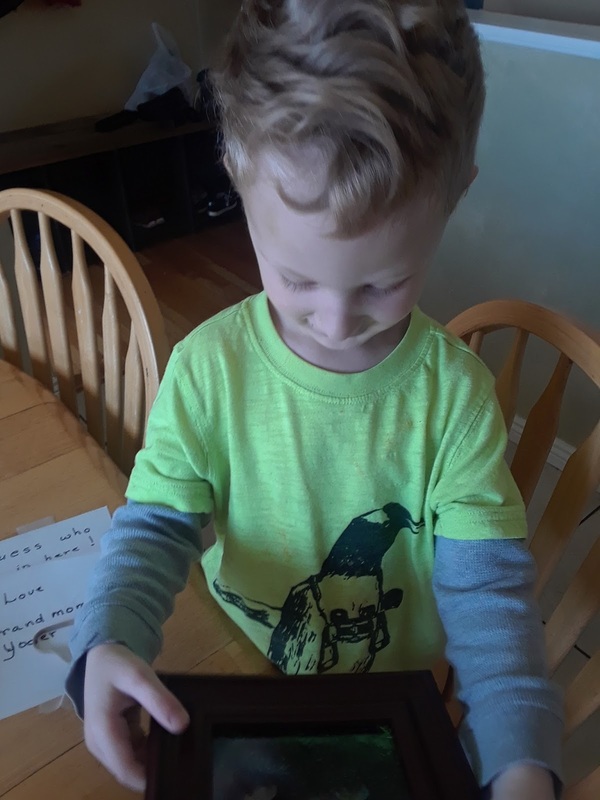 Logan has been devouring books since he realized he can read himself chapter books. Friday night Dave's parents asked if they could babysit (the answer is almost always yes!). So Dave and I hit up Barnes and Noble just to browse for new titles. It's one of my favorite cheap dates. We take pictures of the books that sound good and rent them from the library. I found one of my favorite Sci Fi authors, Marissa Meyer, has a new book out (Renegades). So I picked a comfy chair and got 40 pages in before Dave was done browsing. It sounds great and has been added to my birthday list (as well as to my Library hold list). After we were done in the bookstore we sat in the car for a half hour or so and just talked. Good thing I threw a warm quilt in before hand. Saturday was full of fun! 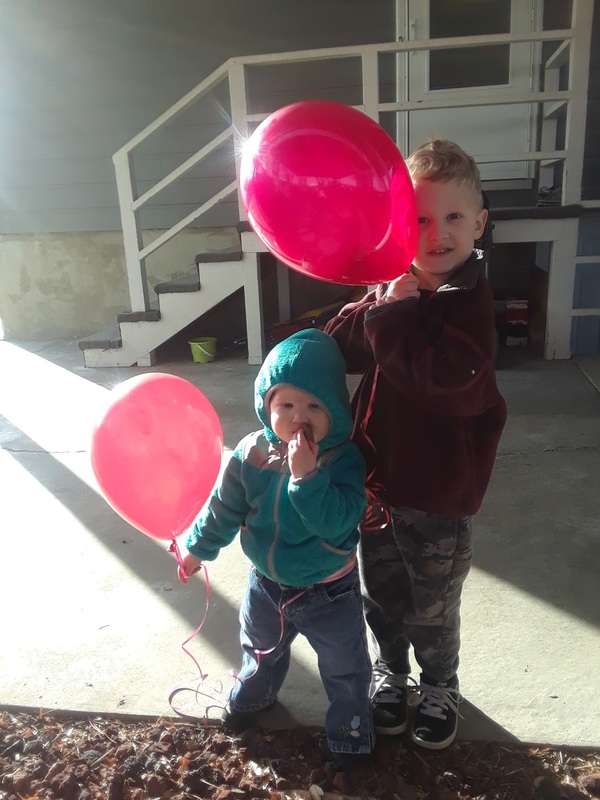 The boys and I got up early to go to a Mother/Son date to Home Depot. We built and painted calendars. 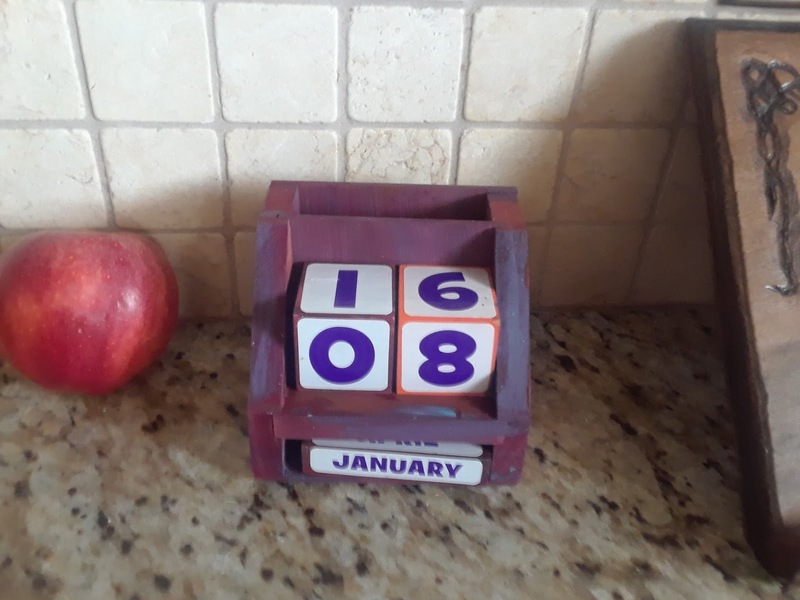 They have blocks that can be changed for the date and month as well as a pencil holder in the back. Both boys picked out their own colors, hammered in the nails, and attached the number stickers. They are SO proud of their creations. Logan decided his would go in the living room by the computer and Dustin's ended up in the kitchen. Both are happy with their creations! When Brooklyn woke up from her nap we headed out for our first Family Snow Shoeing trip! We got the boys snow shoes over Christmas break and were so excited to try them out. Logan took to them a lot faster than Dustin but over all it was fun. We realized we should have brought our sleds for the trek down hill, so we have scheduled another trip up to the mountains for this weekend! Since the snow really hasn't come to us this year, we decided we're going to outsource more often. While we were up there it was really foggy and snowing. It was just beautiful and peaceful! We enjoyed the remainder of our Christmas break! 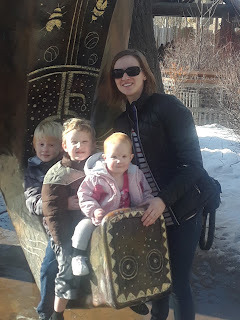 On Wednesday we hit up the zoo for free zoo day. The weather was in the 40's and was just perfect for seeing the animals. The animals were more active than when we have gone in the summer. The kids were fascinated with them all. The boys thought it was hilarious that the herbivores were all eating Christmas trees. The polar bears were wrestling, the tigers were pacing, and the monkeys were snuggling. 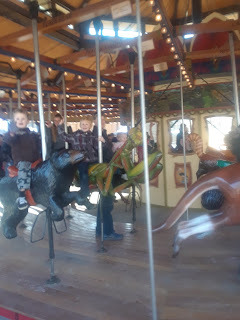 Since we had gotten in free, when the boys begged for a ride on the carousel we gave in and bought tickets. 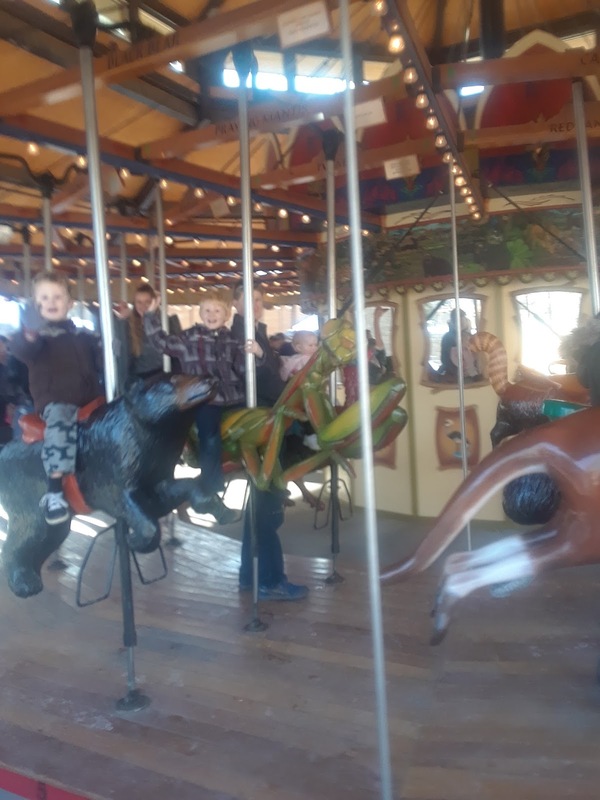 They had a blast riding their animals. 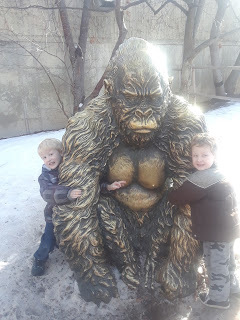 I realized after we got home the only time the boys wanted to pose for pictures was for statues. 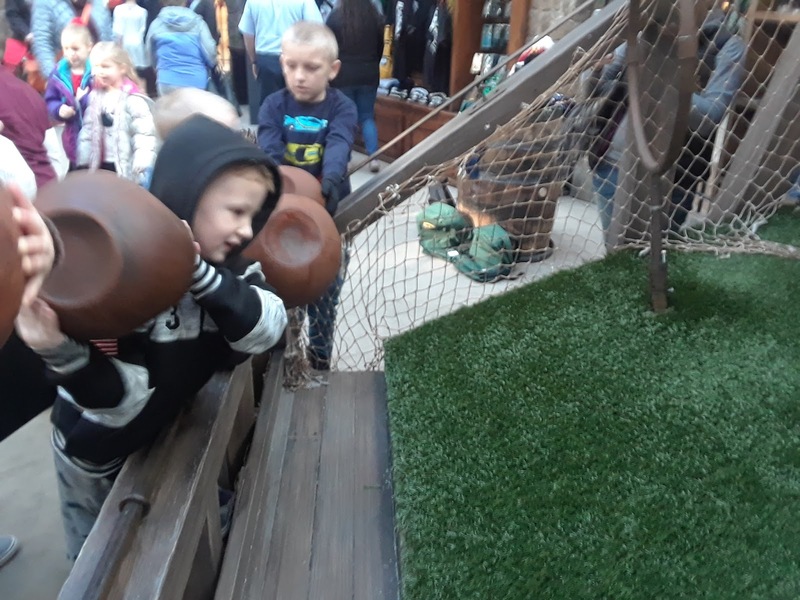 They didn't want to be bothered with posing when the animals were running around. The ran from exhibit to exhibit. It was totally exhausting to keep up with them. One of the nights last week we had a family puzzle night! 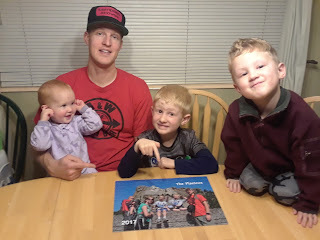 I got a puzzle of our family for Christmas and the kids had a blast helping us put it together. It was fun to hear them squeal "look, here's Dad's head!" or "which president has the creepy glasses?". It was probably my favorite Christmas Break night. 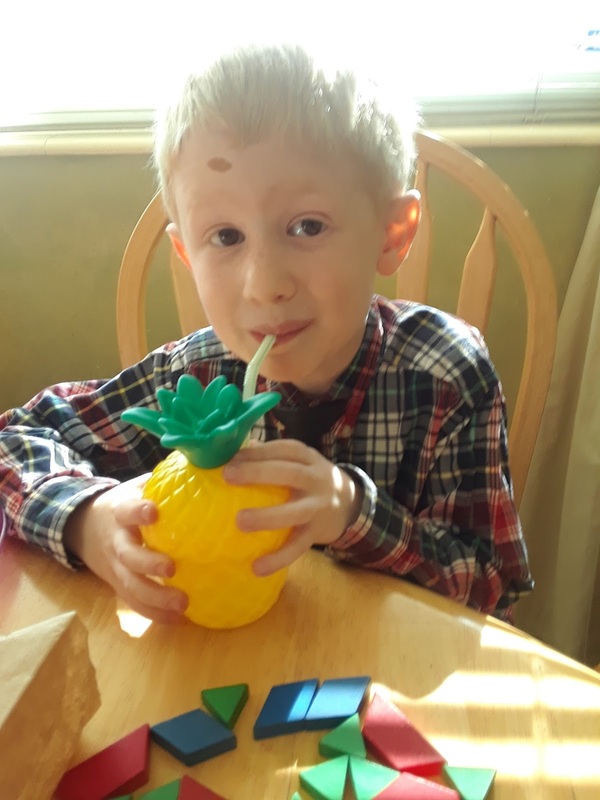 The Sunday after Christmas Logan's church teachers gave him a gift of pineapple things! He got a cup, a pineapple fruit leather, a cup of pineapple slices. Why? Because he and his church friends Briggs and Michael draw pineapples in all their pictures. So much that their teachers banned them from drawing pineapples! It was all in fun, the boys still insisted to see if they could sneak a pineapple in. Logan has sure loved his teachers this year and will be sad to get new ones next year. We made a huge breakfast New Years morning and Dave started work on the built in shelf for the basement bathroom. 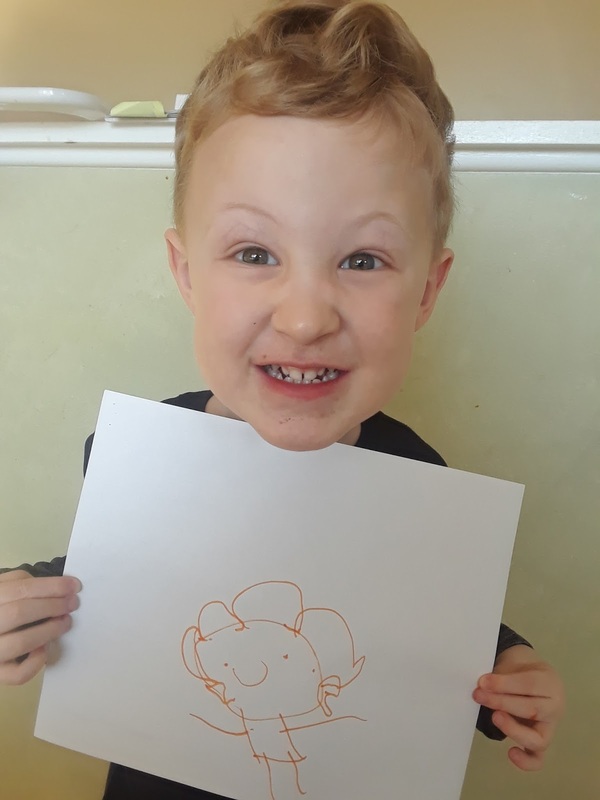 He has wanted to have time to finish it since this summer, and he was glad to get to work on a project. We read a lot of books, played a lot, and had a lot of fun. But when school started I was ready for the structure of school and work.